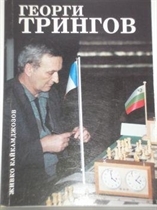 Georgi Tringov, one of Bulgaria's greatest chess players, was born on that day. He became a Grandmaster in 1963. More information on Georgi Tringov - in the article dedicated to him , in our Figures of Plovdiv section.